Disclosure: Party of 5 has received samples in order to bring you this review. All opinions are my own. 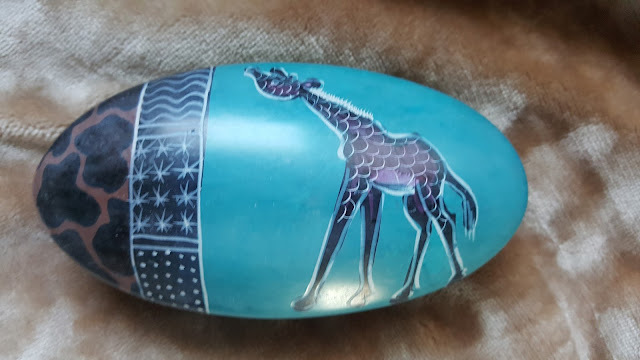 The hand-carved African Soapstone Box is a perfect place to store necklaces, rings and other trinkets. This ornate handmade gift is etched by talented artisans in Kenya who use this sustainable resource to lift themselves and their families out of poverty. Research consistently shows that the majority of consumers wait until the last minute to do their holiday shopping. According to the National Retail Federation, 46.8 percent of people who were still shopping after December 10th said it was because they couldn’t decide what to buy. This year, help your readers make an easy choice with beautiful handcrafted items that give back twice – to your loved one and to those around the world who need support the most, thanks to the World Vision Gift Catalog! 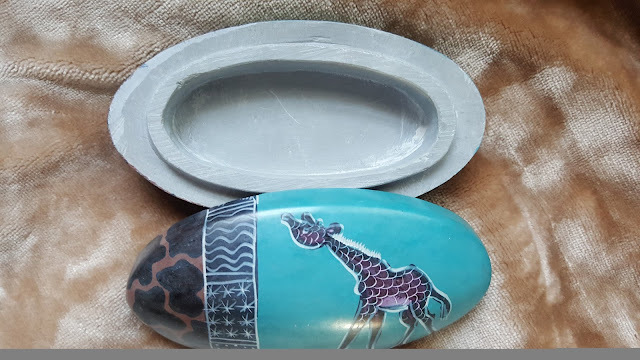 I love all things giraffe so this beautifully carved African Soapstone Box makes the perfect addition to my dresser. While it isn't very large I can store my rings inside when I go to sleep at night. This would make the perfect gift to bring when attending holiday festivities as a host gift. Win It: One lucky Party of 5 reader is going to win it! I would gift this to my sister who would love it! I'd give this box to my mother. I would give this box to my beautiful daughter who loves Giraffes'. I would gift this to my oldest daughter. I would give this to my mother who would love it. I would give it to my mom for Christmas, she would love it.